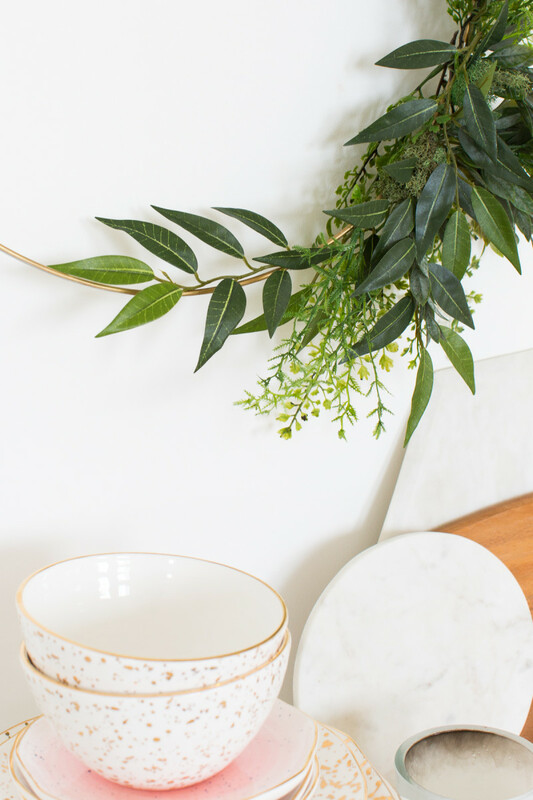 An understated touch of foliage for your front door or gallery wall. 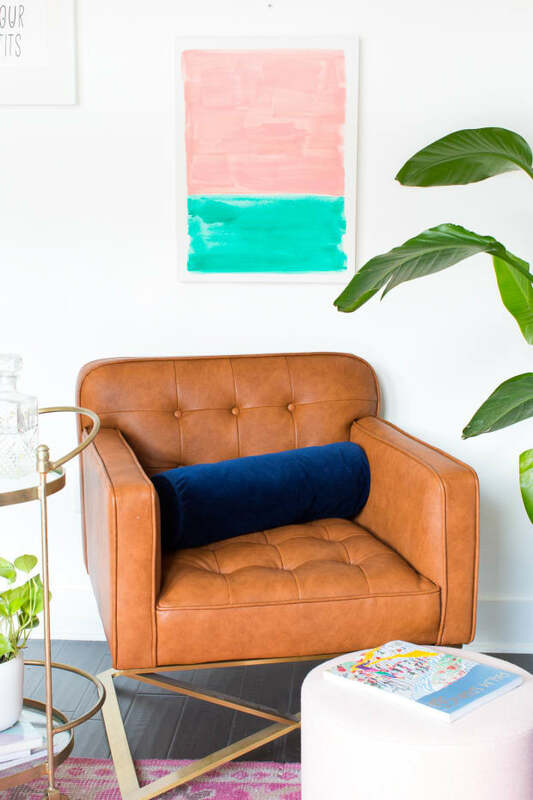 Who’s ready to bring on the fall weather?! 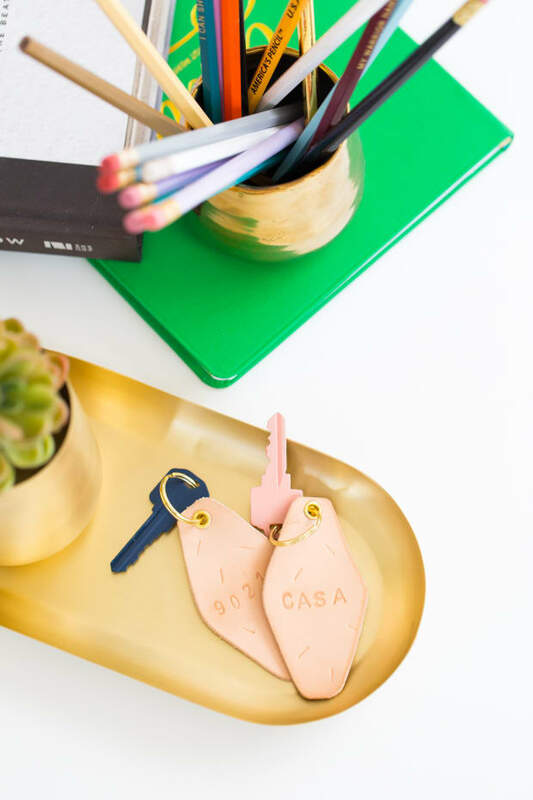 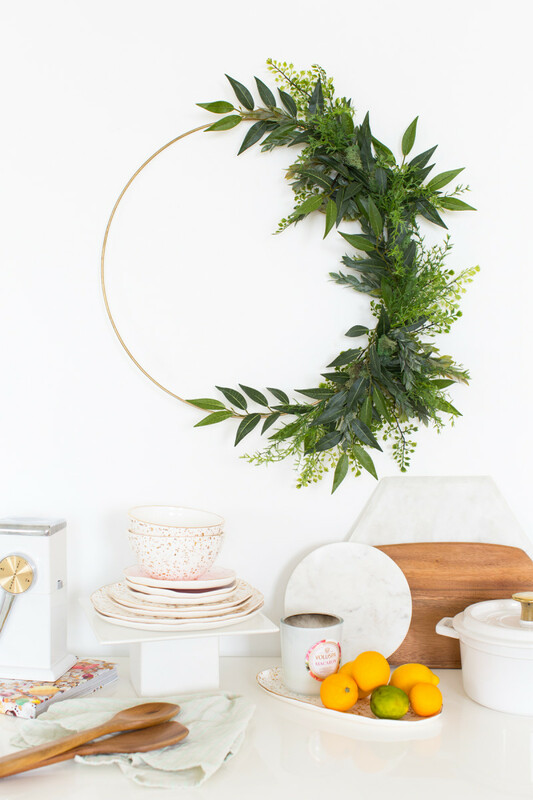 I swear every time summer even hints at being over, it’s like I become a cool weather addict—hence this DIY Fall wreath that will absolutely be making a statement on my front door this season. 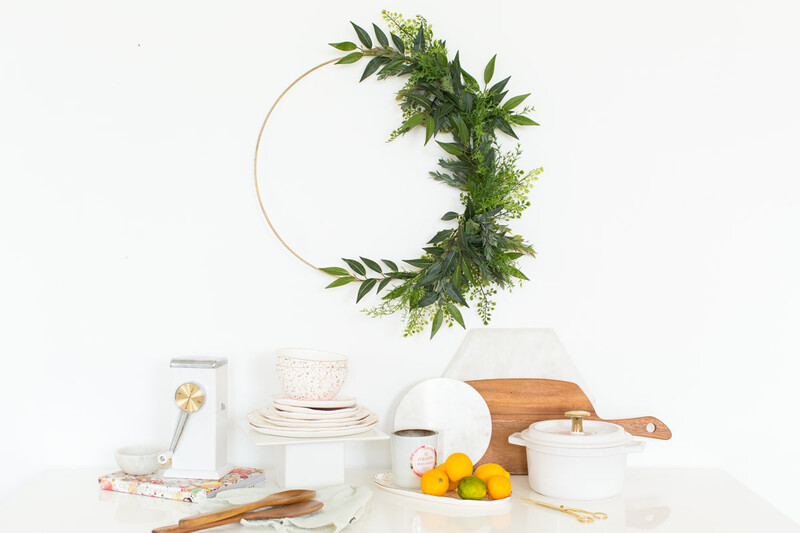 Spray-paint the hoop gold and let it dry completely. 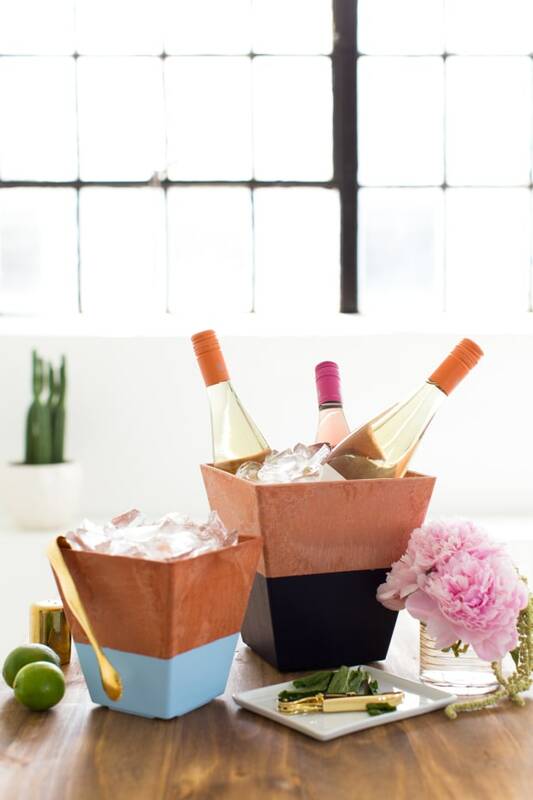 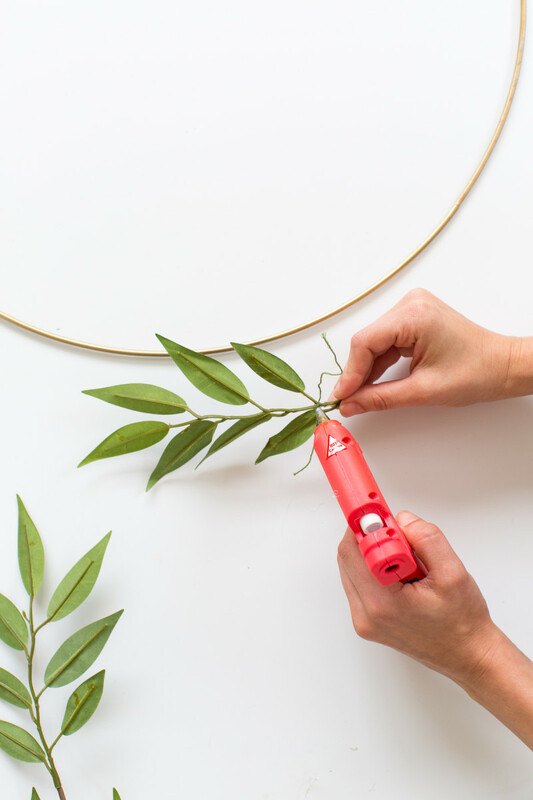 Little by little, cut the greenery stems and wrap each stem with a short piece of floral wire to hold the main weight of it to the macrame hoop. 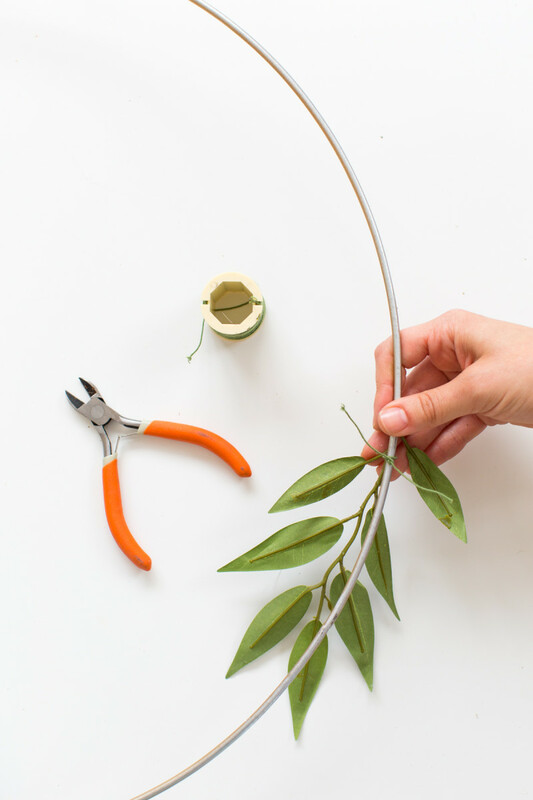 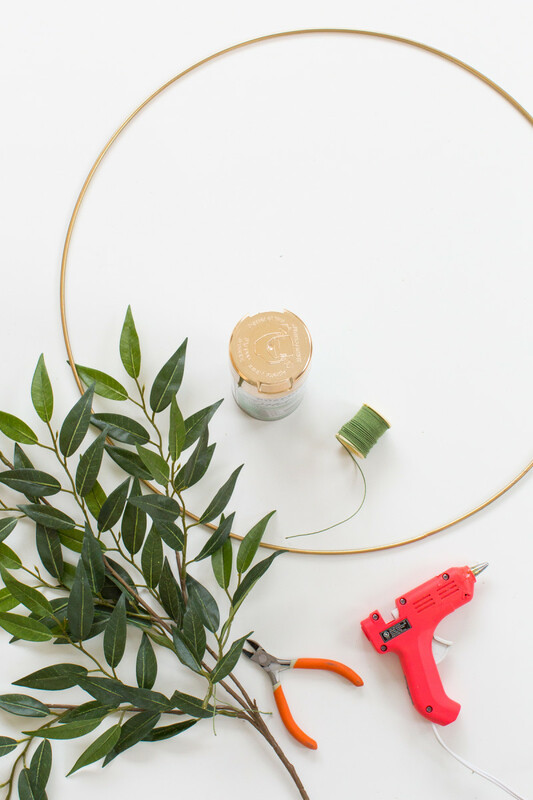 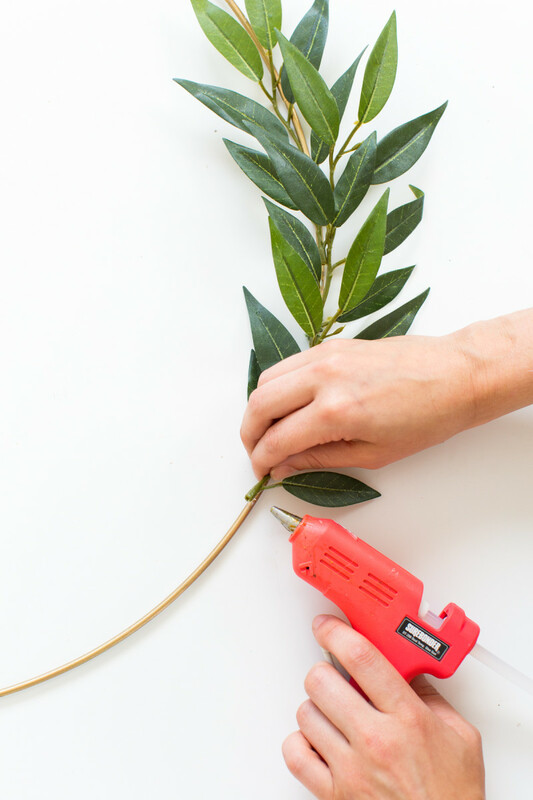 For extra security and for placing the greenery just right, use hot glue to secure the greenery "limbs" in place after wrapping the floral wire around the hoop. 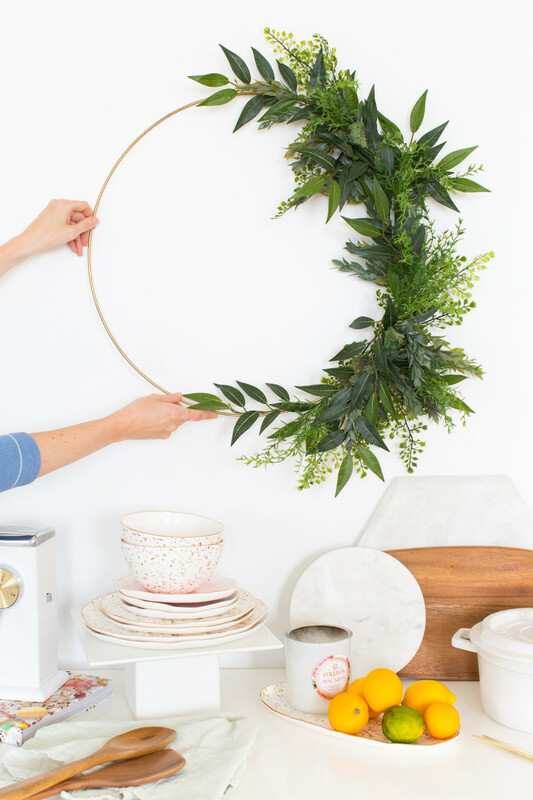 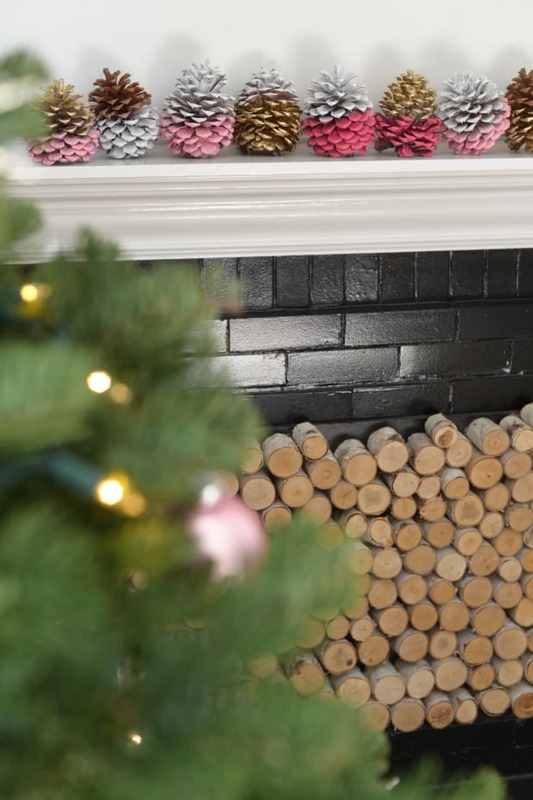 Repeat for each piece of greenery until you’ve got the look you’re going for, but make sure the weight is evenly distributed on the hoop so that it doesn’t swing on your wreath hanger, once in use.